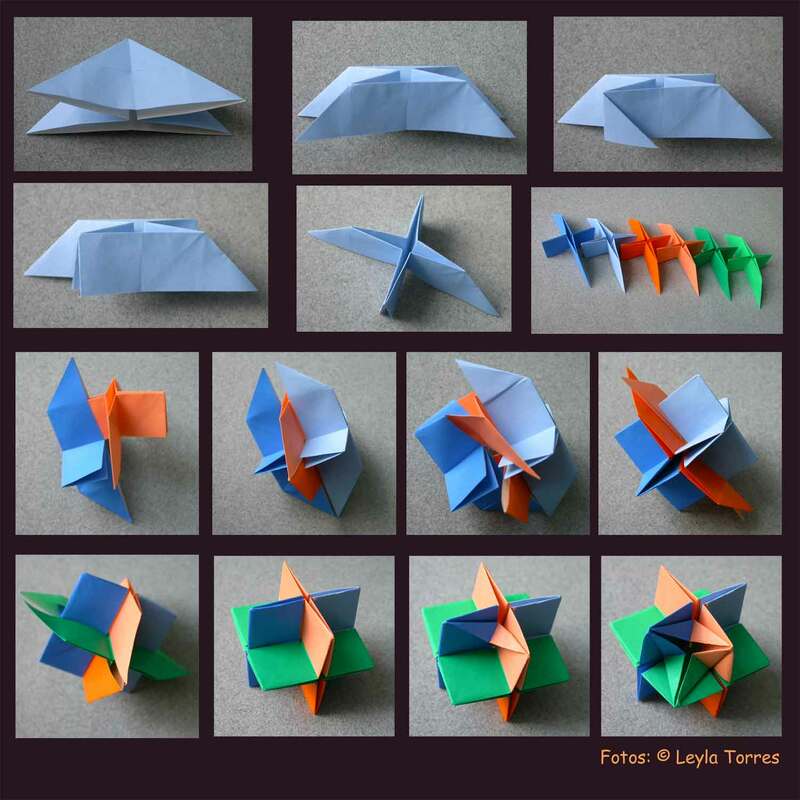 This page is dedicated to patriotic origami ideas. The Red white and Blue theme can be shown during: Labor's Day, Veterans Day, Presidents Day, Memorial's Day, 4th of July. Some crafts are easy and suitable for young children while others are very challenging and suitable for expert origami artists. Origami lucky Stars are made with a long strip of paper. They are colorful, whimsical, and best of all, easy to make. Lucky Stars can be converted into patriotic jewelry; be strung up as streamers, or layered in decorative glass jars. You can even super-size them; how American is that? These home made stars can be strung together for streamers. Or they can be stacked with a brass fastener. Backyards and patios can be decorated with red, white and blue spinners. These whirligigs are made from paper plates and will delight young ones. For 4th of July and other patriotic holidays, you can decorate your food with American Flag toothpicks. These toothpicks can be used on top of muffins during breakfast; to hold hamburgers together at lunch; to pick up cheese cubes during snacks; or to skewer olives in your evening martini! 4th and July and other national holidays often comes with backyard BBQ. Why not celebrate with these colorful "lamb chop cuffs". These frilly paper wrappers will decorate your table and will keep your fingers clean when you eat chicken drumsticks. In her book, The Guide to American Money Folds, Jodi Fukumoto folds two US dollar bills into the Statue of Liberty. In this book, you will also find instructions to fold a dollar bill eagle. In 1782 a committee of the Continental Congress chose the Eagle as a symbol to represent the United States of America. However, USA is not alone, nor first. The eagle has been used as a national symbol in many countries including Egypt, Germany, Mexico, Poland, and more see list here. USA dollar bill origami eagles can be found in Jodi Fukumoto book, The Guide to American Money Folds and online by Jeremy Shafer. In April 2007, Robert Lang folds one sheet of paper into an American flag with no cutting and no glue. It took him 7 days to do it! In honor of International Day of Peace (September 21, 2009), Keith Garner organizes origami cranes, swans, and flapping birds into the shape of an undulating flag of the United States of America. Such a beautiful display with approximately 1040 origami models: all folded by 5th graders! In the May 30, 2010 issue of The New York Times, Opinion section, a wreath made with origami and paper flowers was used to commemorate the unknown soldiers who fell in USA conflicts from the Revolutionary War up to the War on Iraq. Artwork by Rumors, article "The Great Unknowns" by RM Poole. July 2010: Ornamental Ball made with 480 triangular units made with red, white and blue paper. This type of paper folding and assembly is called Golden Venture Folding. See top and bottom of this model here. Do you know who Betsy Ross is? Some people may know her as the lady who sewed the first official American flag. According to legend, in 1776, a small committee (which included George Washington) approached Betsy Ross and asked her to sew the first American flag. The proposed flag had 6-pointed stars but Betsy suggested that 5-pointed stars would look better. Her 5-pointed stars were made in the same manner as shown above. The resulting flag that Betsy made had 13 stripes (alternate red & white), and 13 white stars (a circle formation) on a blue canton. This was the "Betsy Ross flag". However, most historians do not think this is a true story. The main reasoning is the lack of evidence: Besty's records did not indicate any invoice or documentation of the historic event. Similarly, diaries, letters, and documents from George Washington and members of Congress did not mention the design of a new national flag in 1776. The Betsy Ross legend was a romantic story designed to generate patriotism: an seamstress turned heroine. Some believe that Betsy Ross did sew early copies of the American flag (as did other seamstress and upholsters), but she did not sew the very first flag.